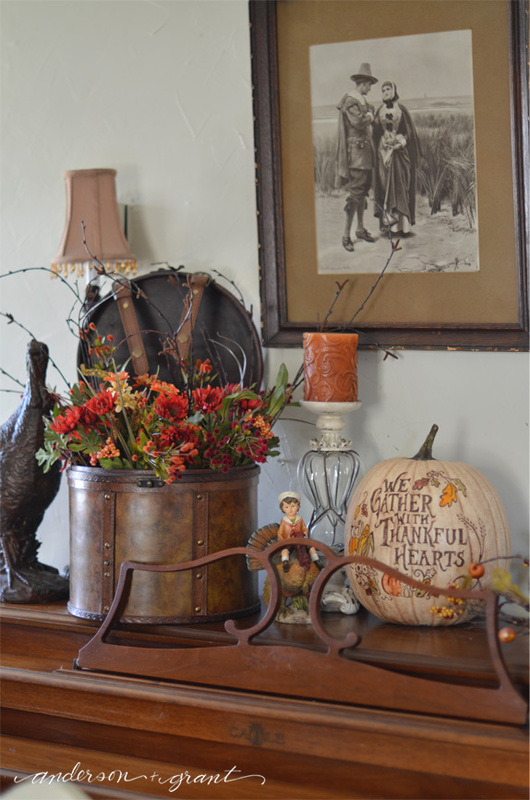 There are bits of Thanksgiving mixed in throughout the fall decorations I've already posted here. Many of them look a little like what I shared last year. But today I thought I'd share the collection I have displayed on the piano. 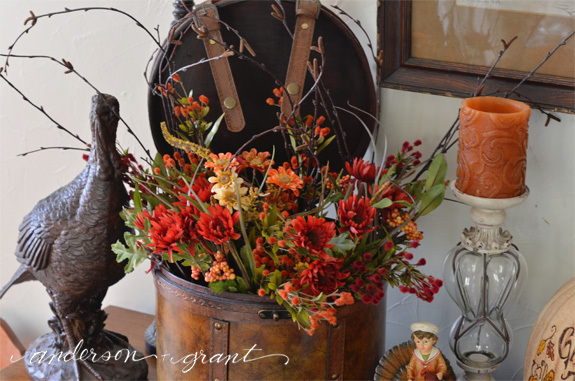 I enjoy mixing in everyday objects like suitcases and candlesticks with holiday decorations. 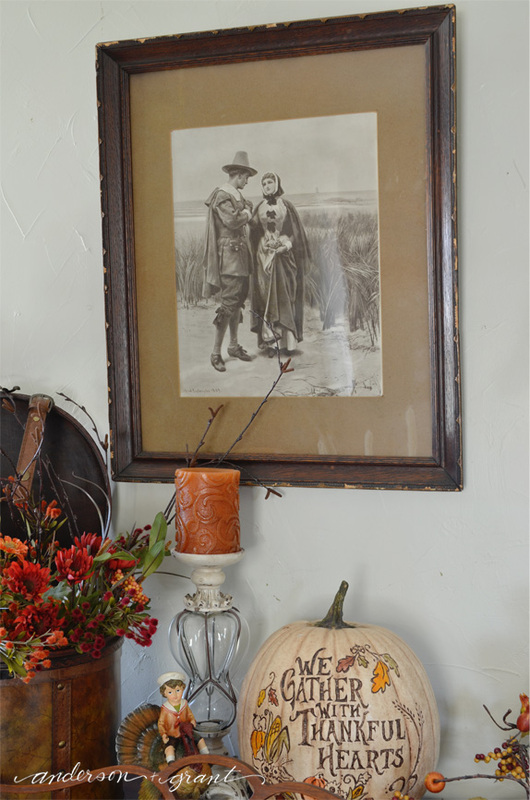 The picture hanging on the wall is a print by Alfred Fredericks from 1889. 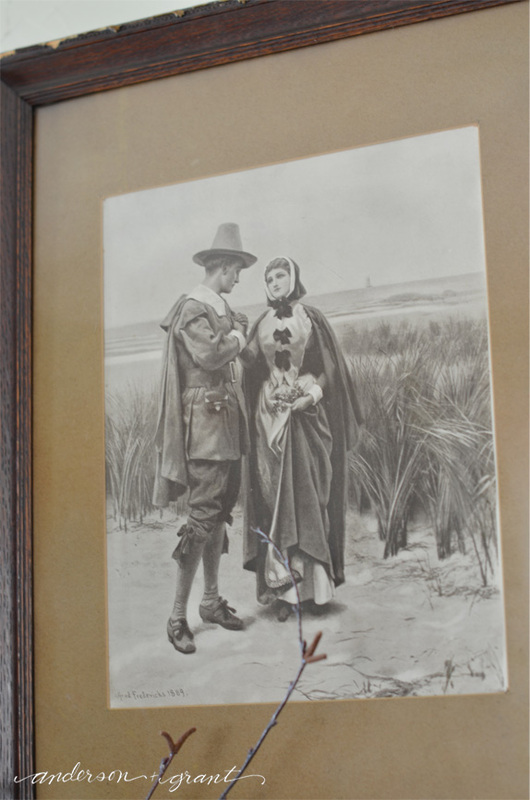 It is called "The Departure" and is supposedly a glimpse of John and Priscilla Alden who came over on the Mayflower. My mom found it at a local flea market on summer. The figuring of the boy sitting on the turkey is made by Bethany Lowe. I think the colors go perfectly with the pumpkin. 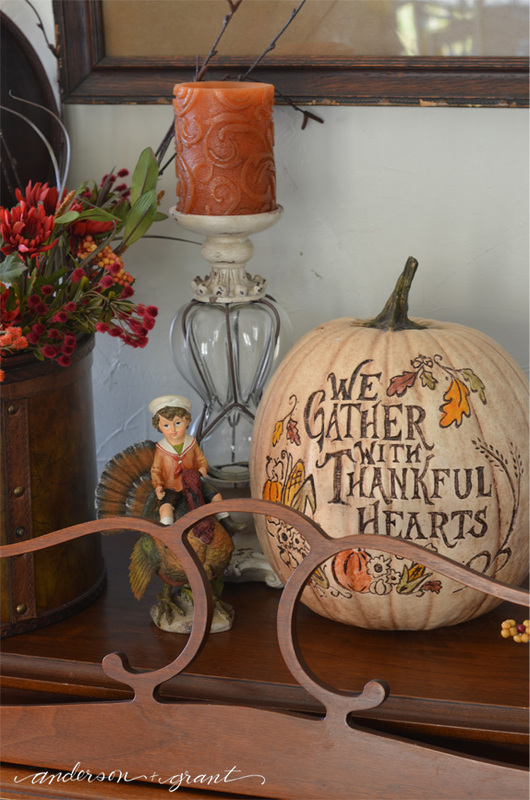 Hobby Lobby has the best selection of Thanksgiving decor each year. 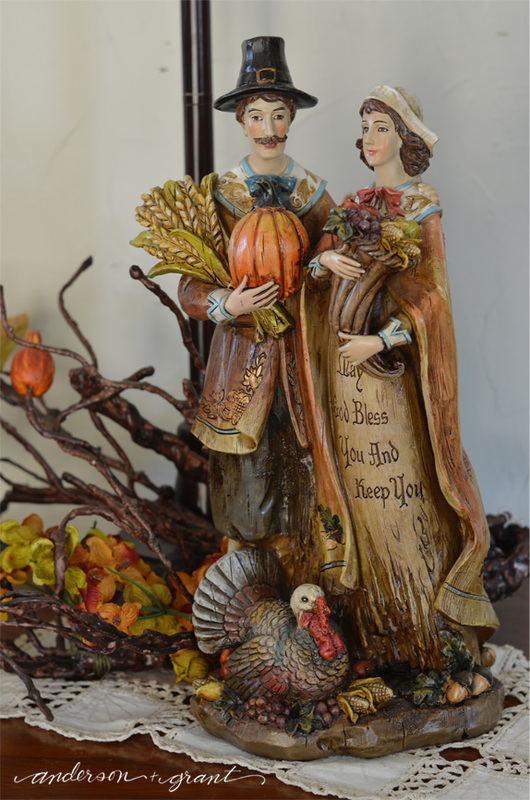 This pilgrim figurine was purchased there last fall. So what do you think? 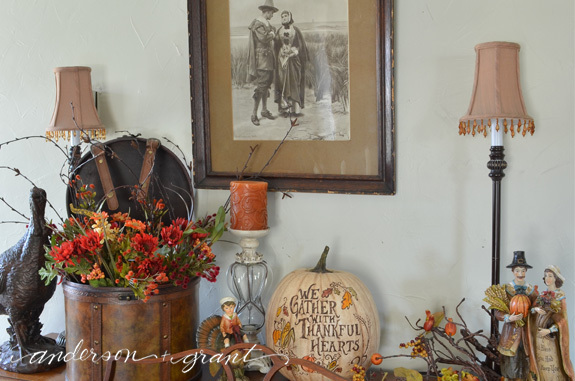 Are you going to be adding any Thanksgiving touches to your fall displays this year?